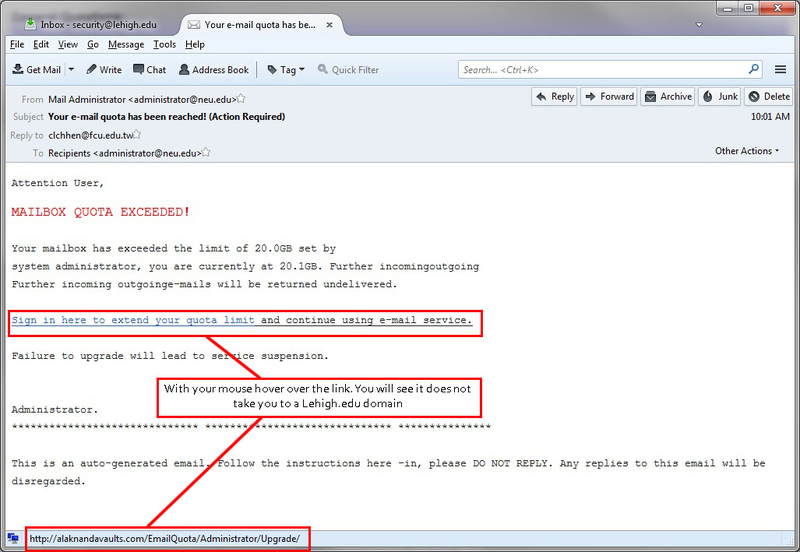 This message fraudulently tells you that your email quota has been exceeded. The message is not from Lehigh and the link takes you to a non-Lehigh site which may have malicious software. Delete this message. NOTE: you can hover over links to see that it does not go to a real lehigh domain. You can also check your (legacy, not Gmail) mail quota by going to your Lehigh Account web page linked at the bottom of the main Lehigh and Inside Lehigh web pages.